Neil Warnock is confident the bust-up between Republic of Ireland assistant manager Roy Keane and Harry Arter will be resolved in the coming weeks. Arter was left out of the national squad for the UEFA Nations League clash with Wales and friendly against Poland - and manager Martin O'Neill admitted it was in part due to a fallout with Keane. 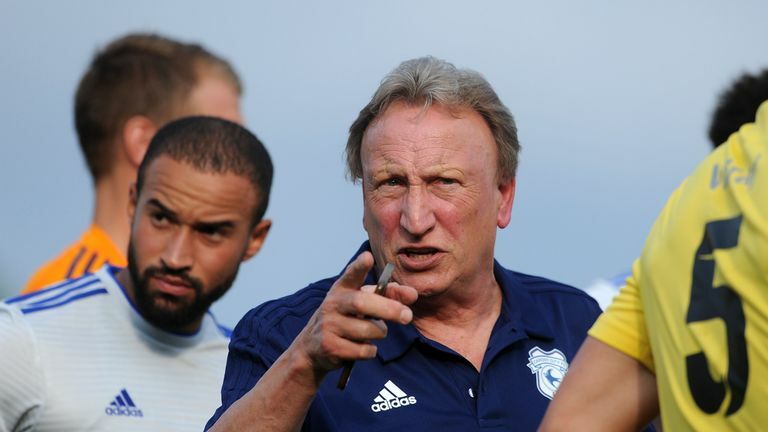 The 28-year-old has been a key member of Warnock's squad after completing a Deadline Day loan move from top-flight rivals Bournemouth, and the Cardiff boss has urged the midfielder to stay focused on performing in the Premier League. "Whether we like it or not we will be under cosh for large parts. What we have to do is find a remedy where we can make our own play count," he said. "We have earned the right to play in the Premier League. The games against Chelsea and Manchester City are not going to define our season. "I don't want us to go there and not have a shot on target, I want us to try and have a go when we can."